Have you ever heard of Argan oil hair treatment before? Well, you might not know that this oil offers a wonderful and fast solution for the treatment of hair loss and balding. 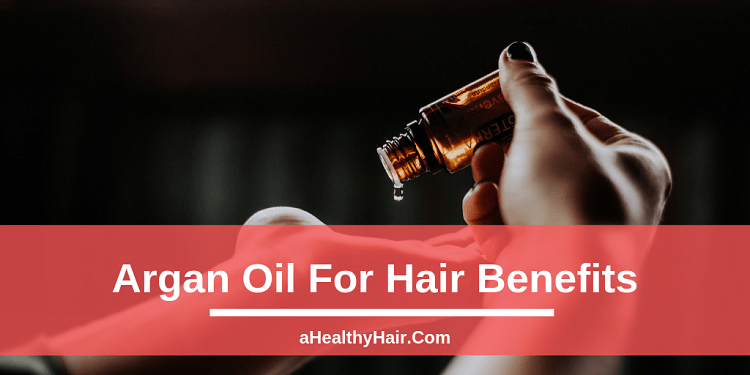 And in this article, we’re going to show you Argan oil benefits for hair, as well as how to use Argan oil hair mask to stop your hair loss. What makes Argan oil so beneficial for hair is due to its vitamins A, C, and E content. That’s not all, the oil is also fortified with antioxidants, omega-6 fatty acids, and linoleic acid. When applied on the scalp and skin, the oil can help boost the production of cell, which leads to healthier hair and skin – that’s why you’ll often see Argan oil among the list of ingredients and properties of high-end beauty products. Let’s now discuss the different ways Argan oil can benefit your hair. The exciting thing is that there’s no need to buy costly hair products if you want to leverage the remarkable properties this oil has to offer – the oil is just all you need! 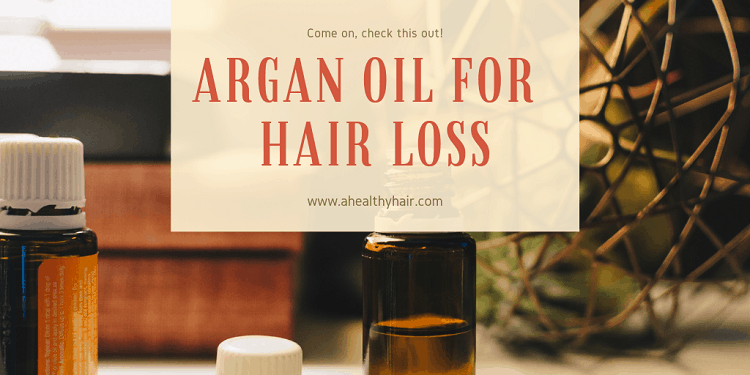 While 100% Argan oil is somewhat expensive, a little goes a long way – this means it lasts for an extended time, offering a fantastic value compared to how often you will have to spend money on costly store-bought hair care products. Now, before we go further, we need to understand what argan oil is, and why you should use it on your hair. Argan oil often labeled “Liquid gold” due to its astounding qualities is obtained from fruits of Argan tree in the North African country Morocco. Argan trees found in Morocco is the source of the wonder product hence the name. The extracted oil from Argan tree kernels is used as a moisturizer, softener, and conditioner for hair and skin. Argan oil possesses many great effects when rightly applied as it contains huge quantities of valuable nutrients which include fatty acids and vitamin E.
Over the years, the oil has produced astounding results when used on the hair and skin, little wonder it has become the delight of the majority who have used it. Argan oil’s use for treatment of hair cannot be overemphasized. It is useful as a conditioner as well as quite valuable for scalp and hair. Vitamin E found in large quantities in Argan oil is very useful for the beauty of the hair. Healthy growth of the hair is promoted by the presence of Vitamin E, which aids in boosting cells and producing healthy hair-regrowth. This ‘Liquid gold’ has also been used as a moisturizer to fight dry scalp and dandruff. Its use as moisturizer makes the hair to grow strong and healthy as against brittle and thin hair. It has the potential to undo damages done to the hair from dyes and chemical treatments. It also deals with splits ends. People often use Argan oil as a hair loss treatment – it is tremendously beneficial for scalp and hair – and is mostly used as a hair conditioner. Apparently, Vitamin E is very beneficial for hair, and argan oil is rich in this vitamin as I stated earlier. Vitamin E encourages healthy hair growth as it’s fortified with antioxidants that help boost cells, enabling them to produce healthier hair. It has also been used for hair regrowth. Furthermore, Argan oil, when used on hair, can act as a moisturizer for the scalp to combat dry scalp and dandruff. And it can also undo some of the damage done via dyes and chemical treatments – and can be used in treating split ends. Finally, this oil is an amazing agent for suppressing frizz and promoting gloss, shine, and softer, more manageable hair. That said, below are the various argan oil hair treatment, as well as the various ways you can use it for healthy hair. Argan oil features several benefits to the hair. Its unique nutrient content easily affords the qualities that make it sought after in the hair beauty industry. The following are wonderful argan oil for hair benefits which you probably don’t know about. Argan oil remains a vital ingredient found in shampoos as a result of its potency in restoring softness, shine, and strength to hair. It is readily used as an ingredient in shampoos and is usually looked out for when shopping for a great shampoo that would solve the problems of brittle, dry hair or chemical and coloring-damaged hair. The beautiful aspect of using Shampoo containing Argan oil is that it provides the flexibility of being applied as a regular shampoo without making more effort in your hair care routine or bothering about making use of the appropriate quantity of Argan oil. We highly recommend the ArtNaturals Organic Moroccan Argan Oil Shampoo and Conditioner Set as the ultimate means of ensuring nourished, strong hair with an enriched look on a daily basis. This impressive product has seen over 65% of its users rating it 5-star, it deserves an assured trial. Argan oil as an astounding moisturizer has the potential to combat dry scalp as well as dandruff with its abundant antioxidants and vitamin E content. Fatty acids, which are in abundance in Argan oil, diminish dryness and skin inflammation. Argan oil’s used to combat scalp dryness as well as nourish the hair with a few drops. There is no side effect arising from chemicals present in the agent as the oil is free of harmful substances. Styling agents are known to cause damage to the hair as a result of chemical content. Argan oil can act as a shield to the hair before using any styling agent. Take some drops of the oil and rub into the hair from bottom to top after which a comb could be used to thoroughly distribute the oil into all the parts of the hair. The oil presence on the hair will act as a protective shield from heat emanating from the styling agents and process. Swimming pools are loaded with chemicals to help purify the water, hence swimming in it could have negative effects on your hair making it appear dull as well as being dry. Your hair can be protected from the harmful effects of chlorine and other chemicals used in swimming pool water treatment by first wetting your hair with water and then massaging some drops of the oil into the hair. Do it again any time you want to get into the water. Your hair will be adequately protected. Afterward, press the tips of the hair with a microfiber towel. Take a dime-sized quantity of the oil, warm it in your palm and pull the hair through the scalp 2 inches of the hair. Comb through the hair from the base to the ends with a broad-tooth comb to fairly distribute. Be cautious not to use heated styling tool or equipment, rather let the hair air dry. Several people suffer from loss of hair, both women and men. If you notice that you are losing hair, fetch a bottle of original Argan oil and deal with it decisively. Argan oil doesn’t only terminate loss of hair, it also supports regrowth when properly applied. It stops loss of hair through ensuring more follicles you are capable of growing are not lost. Research has proven that Argan oil can trigger the scalp because of its abundant nutrient make up to produce more hair. It makes the hair regrow in a matter of a few weeks, which is amazing. In a research conducted in South Korea, 44% of persons under observation noticed “clear hair regrowth with the oil treatment. This sort of result is comparable with Minoxidil- a drug for hair regrowth. Contrastingly, Argan oil use does not come with possible toxic side effects. Hair loss treatment using Argan oil involves taking some drops in your fingertips and rub into the scalp in circular motion. Begin at the front hairline, and then across the head and later each of the sides and back. Do so for another fifteen minutes so as to let the oil thoroughly get to the scalp to stimulate the flow of blood to your scalp as well as hair follicles. Argan oil does very well as a great Leave-in conditioner that could extend and strengthen its helpful impact on hair. It is an excellent conditioning agent as it makes the hair soft and sleek plus extra shine. It is vital to note that Argan oil as a Leave-in conditioner does not make hair clumpy and stringy as others do, it works in sharp contrast. The oil content in Conditioner makes the hair simpler to style as well as absorbing easily without leaving any greasy remainder. Argan oil is readily used as a remarkably effective Leave-in conditioner free from chemical substances. A model example is Moroccan Argan Oil Conditioner SLS Sulfate Free Organic – Best Hair Conditioner for Damaged, Dry, Curly or Frizzy Hair. With an astonishing over 70% customer happiness after use, this product doesn’t disappoint. It can be applied by rubbing some drops adequately between the palms before combing the fingers and hands carefully through towel-dried or damp hair. It is advisable to rub well at the tips and scalp to facilitate healthy hair growth and scalp. This recommended shampoo also naturally deals with split ends of the hair. Styling hair in a rush is made very possible with Argan oil. It also offers enduring enhancements in strength and softness as well as giving hair instant gloss which is an amazing way of taming curled hair into a stress-free state. Argan oil will never cause long duration harm to hair as a result of the presence of chemicals as other styling agents do, it rather enriches the hair with needed nutrients and fixes damage to hair. The ‘Liquid oil’ shields the hair from heat damage so it is easily useful before straightening. Using it for styling is unbelievably simple. It can be applied just like a leave-in conditioner except that the hair doesn’t need to be wet. Evenly distribute on your hair using some drops rubbed on your palms while combing the dry hair. If you want it to be absorbed quickly, little quantity will do the trick. Argan oil is an enduring styling agent that will add beautiful shine as well as make the hair more manageable. Argan oil hair mask comes across as an astounding way to give the hair one of the most beautiful lasting cares you require. A beautiful example is Purest Naturals Premium Hydrating Argan Oil Hair Mask – Best Deep Conditioner Repair Treatment for Damaged & Dry Hair After Shampoo. Little quantity of it as overnight treatment will make the most of the impact of the oil on the hair and the outcome will be sleek, extra smooth and voluminous hair. Treatment overnight creates more time for the nutrients to be adequately absorbed into the hair ready for a unique event. Anybody can do the Argan oil mask at home. All you do is massage a good quantity of the Argan oil on the tips of the scalp and hair. The quantity of the oil to use depends on the length of the hair and how damaged it is. For instance, thick and long hair would require ten or more drops of oil. In the case of hair that is split or not bright, it’s advisable to apply a little more oil. If the hair is short, two to four drops will do the trick. Comb the hair to spread the oil throughout the entire hair, this allows the oil to reach every part of the hair. Afterward, cover the oil-saturated hair in a shower cap in order to keep the heat on the hair. The shower cap covering the hair would lock in the heat on the hair which in turn will facilitate deep hair conditioning. Apart from that, it also triggers the oil – helping it absorb much deeper in the hair follicle. Use of shower cap is to stop the oil from messing up the furniture or pillow. Hair bonnet could also be used in place of a shower cap. Leave it throughout the night in order to achieve optimum results. The recommended minimum time for the Argan oil hair mask is thirty (30) minutes; the longer the Hair mask stays the better for your hair. You can wash out the oil in the morning with conditioner and shampoo. While in the bathroom, use a dime-size of shampoo and rub into the hair roots and up to the tips. Shampoo will remove the excess Argan oil from the hair. Then rinse off the shampoo, and then apply conditioner the normal way. Rinse thoroughly all the oil from your hair. To further moisturize your hair, you could allow the conditioner for three to five minutes before finally washing it off. You are assured of a remarkably beautiful hair after the treatment. Your hair will look stunning! Another bonus is that you won’t have fear of the side effects of exposing your hair to one of the toxic chemicals found in many normal hair mask conditioners. Argan oil hair mask can be repeated in a week or as the need arises. In order to maximize the results of the hair mask, it can be done two to four times within a month. When purchasing Argan oil from the store, it’s advisable to be wary of sub-standard or adulterated products. Firstly, while checking it, look out for the type of container, this is key as the type of container can affect the quality of the content. The recommended bottle type for Argan oil is glass bottle that is dark in color, normally amber. Bottle that is not dark-colored is not advisable as light penetration into the bottle will trigger a chemical reaction that will break down its essential nutrients thereby neutralizing its expected wonderful effects. Secondly, check that the product you are about to purchase as Argan oil has only one ingredient that is one hundred percent Argan oil (i.e. Argan Spinosa). An original Argan oil brand should contain no preservatives, no fragrances as well as no water. It should be 100% Argan oil, free from all forms of additives. The third thing to do is to smell, yeah, use your nose and perceive the smell of Argan oil brand you wish to buy. Original Argan oil should possess a slightly nutty fragrance which will dissipate when in contact with the skin for some minutes. Another feature to look out for is to find out how it feels; it should not be very watery and must be smooth to touch. A proven 100% Moroccan Argan oil is the PURA D’OR (4 oz) Organic Moroccan Argan Oil 100% Pure Cold Pressed. It boasts of over 75% Customer happiness, you can rest assured your money is not wasted with its purchase. Argan Oil is one of the best treatments you can give to your hair to minimize hair loss, improve hair strength, color, and sheen, as well as give you the voluminous hair you have always desired. Regrettably, many people still don’t know the potent of Argan oil for hair loss treatment. But we hope we’ve been able to inform and educate you on how Argan oil can help you put your disturbing thinning hair to a purse. Do let us know if you’ve heard of Argan oil before, and if you’ve tried it on your hair. And if you enjoyed this post, please, kindly tweet and share it with your friends.